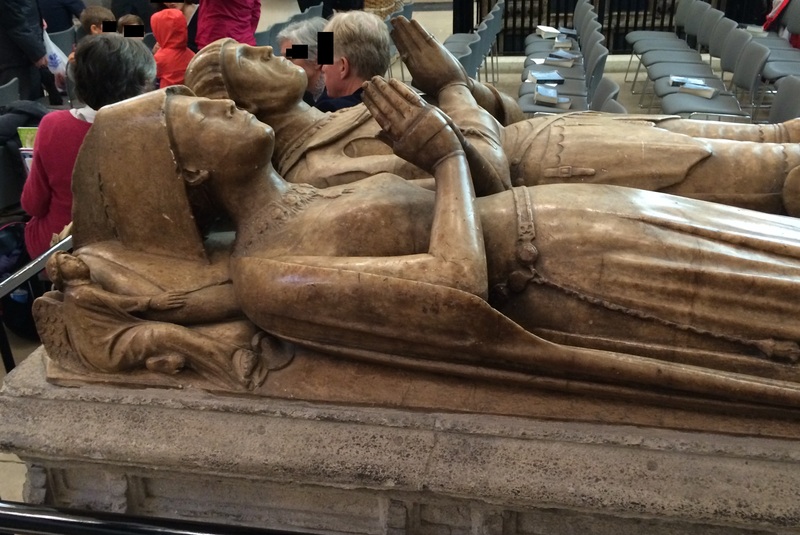 Here is the tomb of Sir John Crosby Hall, who died in 1476, and his wife, in St Helen's Bishopsgate. This tomb is located on the eastern end of the building where the altar would have been located in the fifteenth century. Sir John was a wealthy patron of St Helen's Bishopsgate. His alabaster effigy presents him in armor. 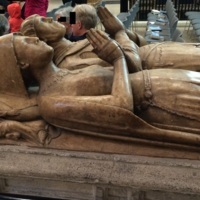 Photo by Sydney Morris, “The Tomb of Sir John Crosby of Crosby Hall and Wife (1476),” Medieval London, accessed April 22, 2019, http://medievallondon.ace.fordham.edu/items/show/225.